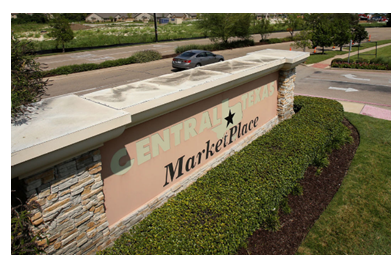 ​​​​​​ WACO – A Hyatt Place hotel will join a cluster of hotels planned near the Bagby Ave. entrance to Central Texas MarketPlace. Heritage Hospitality Group bought 5.6 acres on Marketplace Dr. near the Bagby Ave. entrance with plans to build a Residence Inn by Marriott, the second in Greater Waco, and a Tru by Hilton. The three new hotels will take shape across Marketplace Dr. from an existing Hampton Inn & Suites. The Tru by Hilton will have 98 rooms spread over four stories, while the Residence Inn will have 105 rooms. Crews will break ground in January 2018 and complete work on the Tru by Hilton in January 2019. Elsewhere in Waco, site work has started for a 110-room La Quinta Del Sol near 11th St. and the I-35 frontage Rd. Lalani Lodging is building an 111-room Hilton Garden Inn at Legends Crossing, and a full-service hotel of at least 110 rooms is part of Catalyst Urban Development’s plans to develop the city’s riverfront. A seven-story SpringHill Suites is also slated to replace the Executive Inn being torn down near University Parks Dr. and I-35. ​Check out​ more hotel stories across Texas.